I recently noticed that my sitemap listed the urls in my site beginning with http:// although the canonical tags of the page are https://, so I resubmitted my sitemap with the correct urls. "Duplicate, submitted URL not selected as canonical" in the new GSC tool. 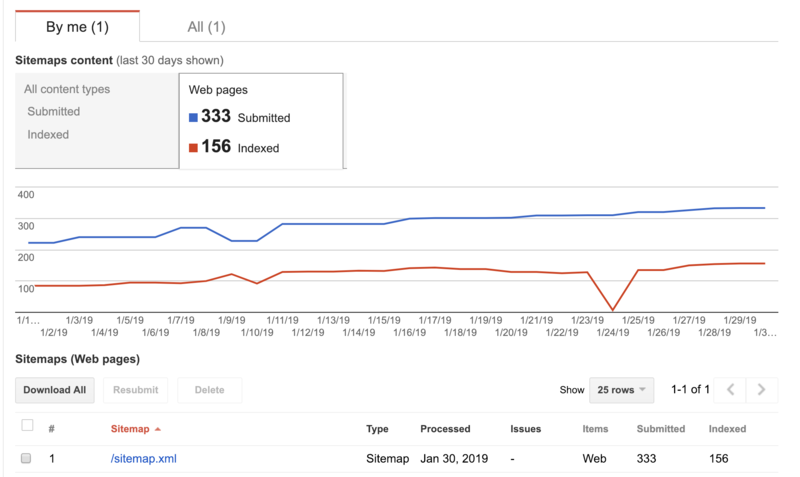 It has been about 5 days since I have submitted the new sitemap, but the number of urls in "Duplicate, submitted URL not selected as canonical" have not changed, and GSC shows that the coverage report was last updated 1/23/19. 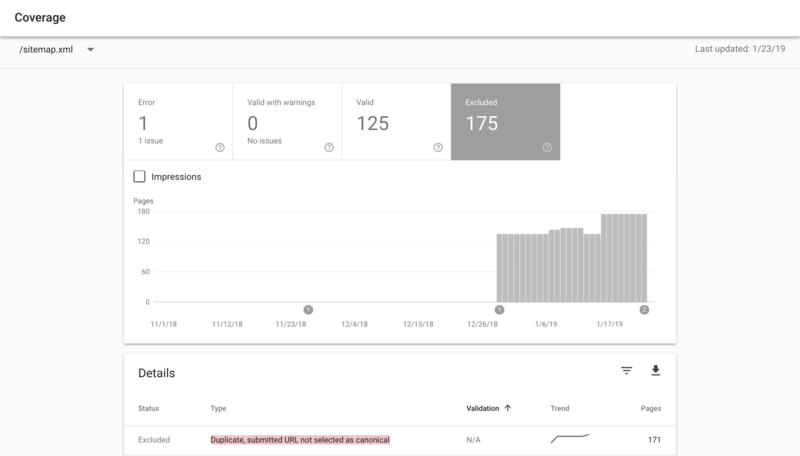 I have tried requested re-indexing for the duplicate urls, but the new https:// urls shows as being indexed, although the sitemap also contains the https:// url, I am still seeing the same results. I currently have about 150 urls showing as indexed in the old GSC (as opposed to the 125 show in the image below), and hope to have the 170 or so other urls indexed as well. Do I need to wait a bit longer? Or maybe I as missing something? The discrepancy between the http and https is my own guess - would there be another cause / solution to this issue? Browse other questions tagged sitemap duplicate-content canonical-url or ask your own question. Is there a way to bulk submit URLs to Fetch as Google?